This was such a great children's photography portrait session in my studio in Monkton, Maryland. 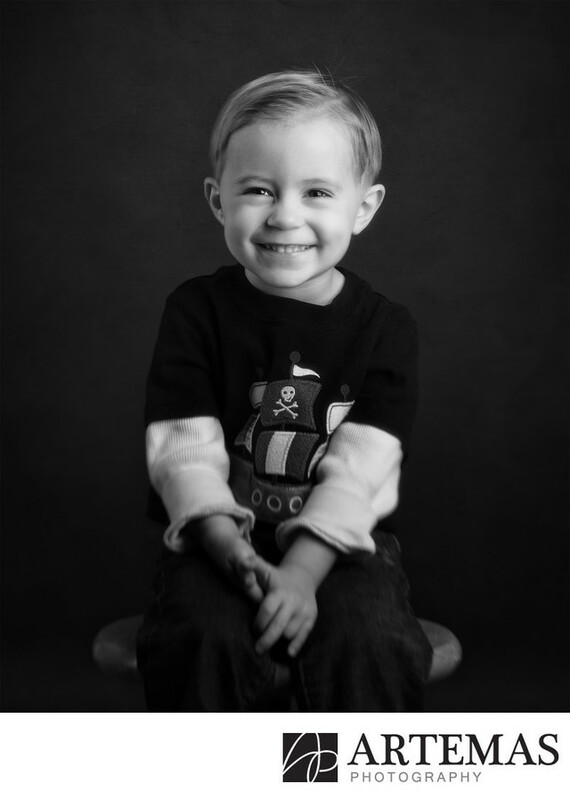 This black and white portrait of Preston smiling is exactly what his parents were hoping to get when they scheduled his portraits. He was very cooperative from the beginning and loved having is photo taken. He was grinning, cheesing it up, looking at the lights, and when he wasn't sitting still, he was dancing around the studio. Photographing children is one of my favorite types of portraiture. They are so honest, and when they smile, they mean it. It was an amazing day in Monkton with his family. I can't thank them enough for taking the time to visit my studio and have their family portraits taken. Location: 16951 York Road Monkton Maryland 21111.